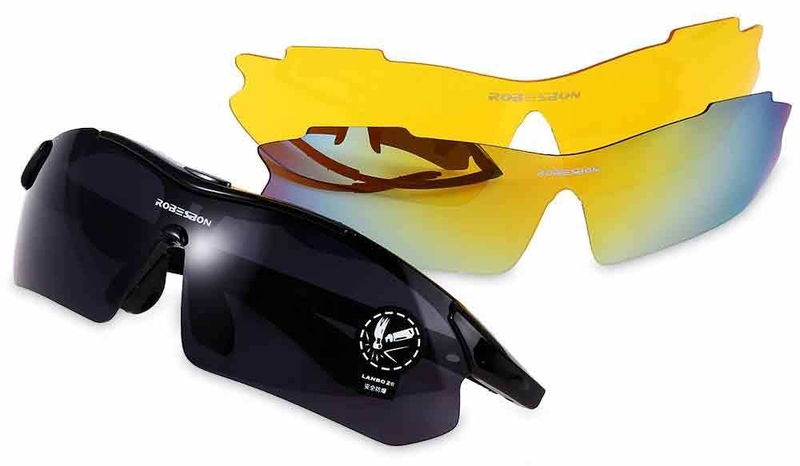 Robesbon 0089 Non-polarized Sports Running Outdoor Cycling Glasses UV400 Sunglasses with 3 Interchangeable Lenses Eyewear Features:• Switzerland EMS-TR90 material glasses frame, extreme flexibility, durability and light weight, perfect material for performance eyewear. • 3 pieces interchangeable lens design allows a wearer to easily switch lenses for different lighting situations. • Novel style, high quality shatterproof PC material lens. • Anti scratch function, no worry while playing sports. • Extremely high alternative bending strength, low density. • UV400 protection, high resistance to chemical and UV damage. 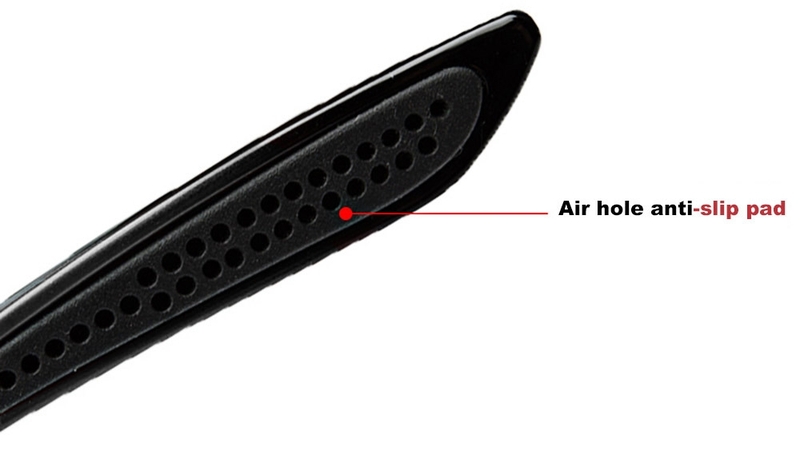 • Rubber ear and nose pieces for a non-slip fit. • Adjustable nose pieces for custom fit. • Removable built-in myopia glasses frame. 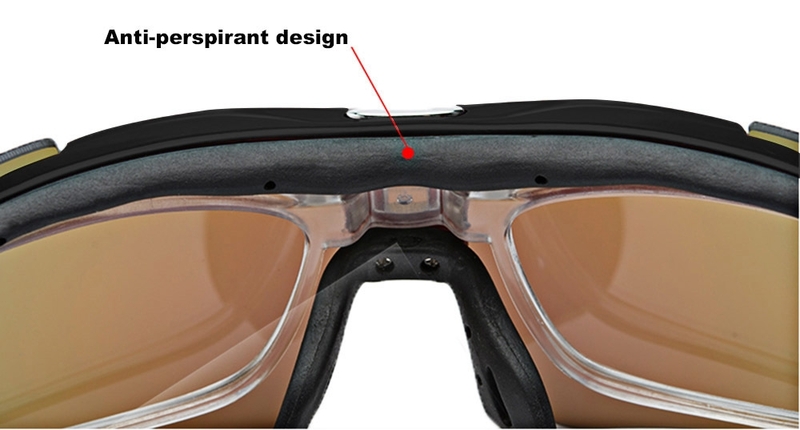 • Vented lenses improve air circulation, prevent fogging. • Come with an elastic sport belt which you can interchange it when you like it to be strap or bow. • Designed for motorcycle and cycling enthusiasts . 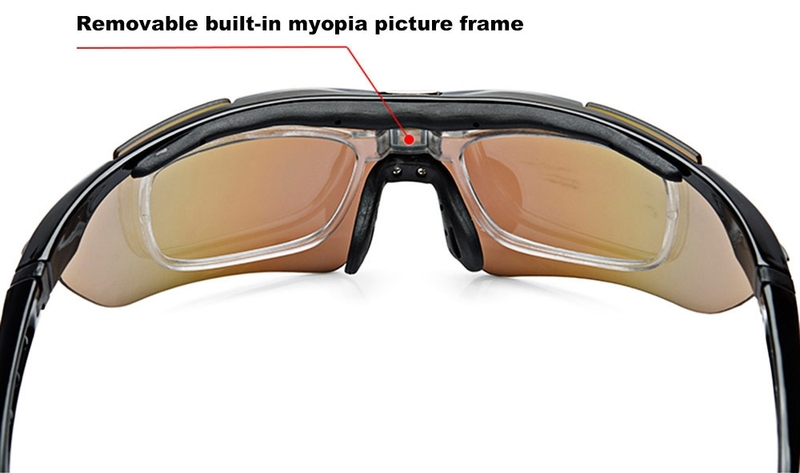 • Anti-glare, protect your eyes from wind, rain, and dust perfectly. • Yellow brightening lens: To improve the effect of ambient light, extremely suitable for night travel. • Colorful lens: High-density lens color coating, can reflect more light, suitable for rainy days use.